HONOLULU (AP) — Hawaii tour boat operators plan to continue taking visitors to see lava, but will follow the Coast Guard’s revised policy and stay farther away after an explosion caused molten rock to barrel through the roof of a vessel, injuring 23 people. 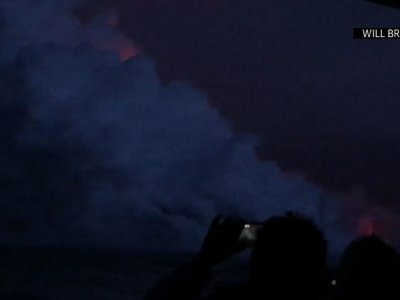 The Coast Guard prohibits vessels from getting closer than 984 feet (300 meters) from where Kilauea volcano’s lava oozes into the sea. The agency had been allowing experienced boat operators to apply for a special license to get closer up to 164 feet (50 meters), but it stopped allowing those exceptions Monday morning. He didn’t observe “any major explosions,” so he navigated his vessel closer, to about 250 yards (228 meters) away from the lava.